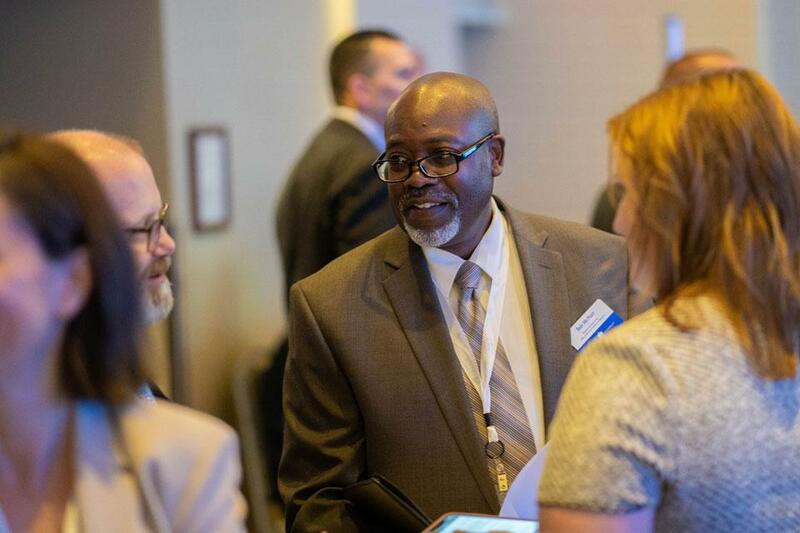 A capacity crowd of 650 regional leaders from academia, government and business and college students came together at the Midwest’s first geospatial conference on Tuesday. 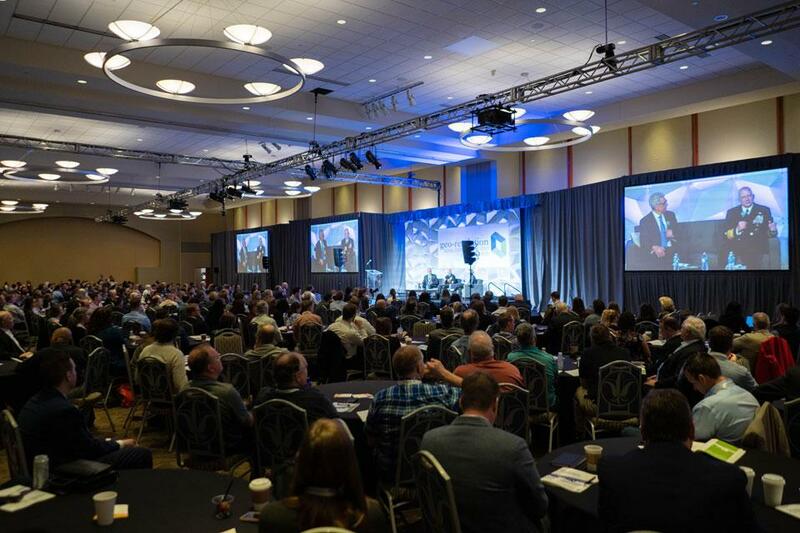 A capacity crowd filled the Wool Ballrooms at Busch Student Center for the Geo-Resolution 2019 Conference. 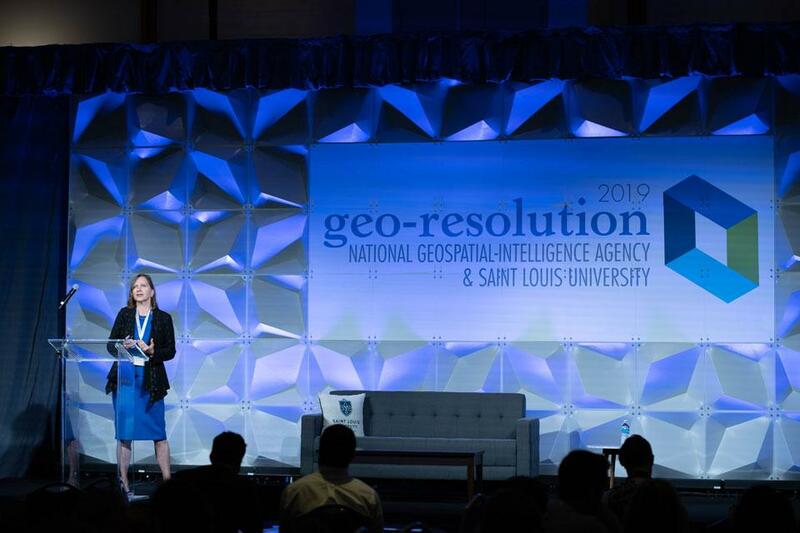 Geo-Resolution 2019 was co-sponsored by the National Geospatial Agency (NGA) and Saint Louis University, which also hosted the event. Geospatial science touches on fields that include artificial intelligence, biosecurity, health, education, environment, food security and economic development. 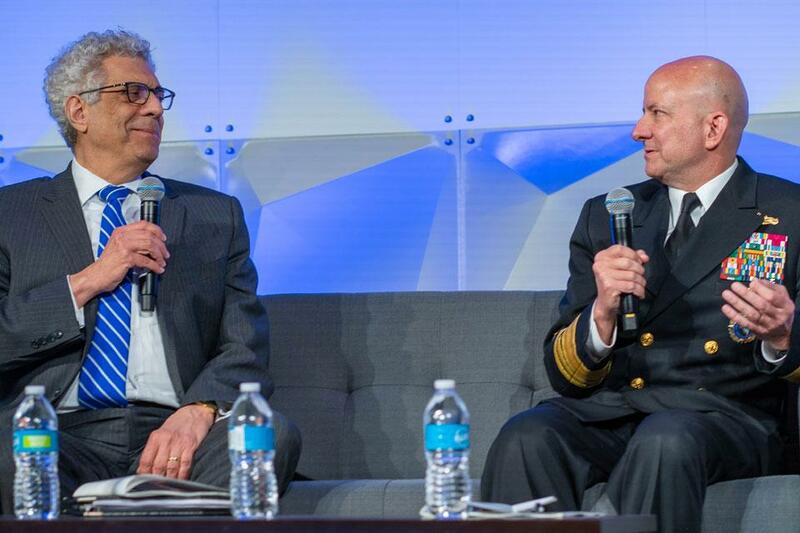 Vice Admiral Robert Sharp, who assumed leadership of the NGA in February, and SLU President Fred P. Pestello, Ph.D., kicked off the day with a moderated discussion on the future of St. Louis. 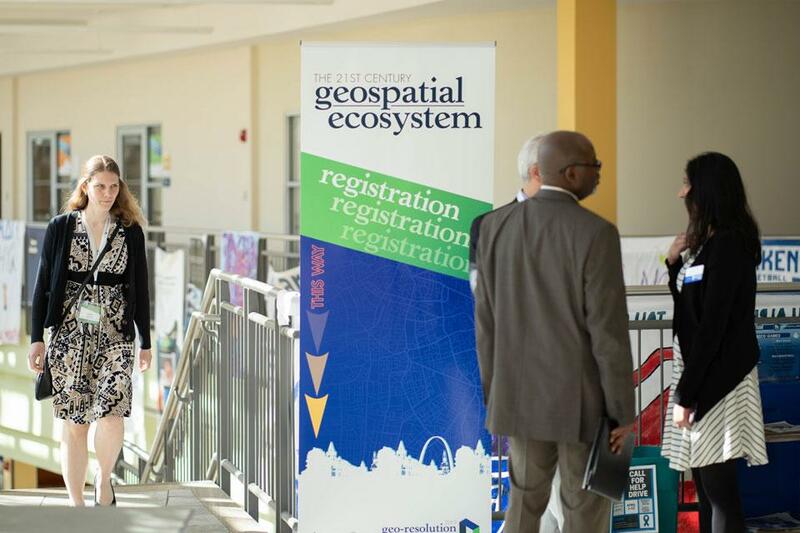 Benefiting from the federal government’s decision to expand the NGA’s presence in the city and a vibrant innovation community, St. Louis is poised to become a regional powerhouse in the field of geospatial technology, they agreed. Partnerships between institutions of higher learning, the government and business are accelerating how we apply new knowledge and fuels the economy, he said. “We’re talking about 10,000 jobs directly related to the NGA and organizations as part of that, a total probably of 27,000 when you get the complete ripple effect. That’s an enormous impact on our economy,” Pestello said. Sharp called the construction of the NGA’s new campus and partnership with academia and industry a “game changer” for the community. As part of the conference, students from SLU, Washington University in St. Louis, Lindenwood University, Missouri University of Science and Technology, Southeast Missouri State, Harris-Stowe State University and University of Missouri met with leadership from the geospatial community during a mentoring lunch. Students also presented posters of their research and were recruited by local industry and government employers during a special career fair. 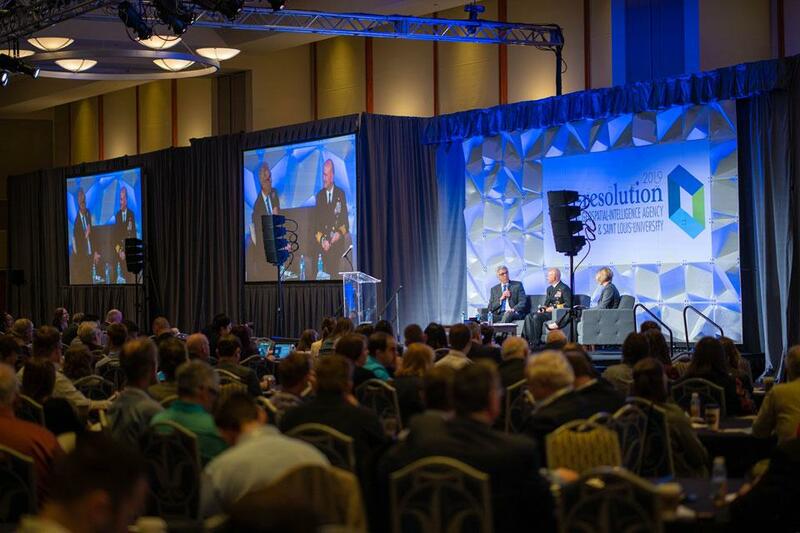 Nearly two dozen speakers from across the country shared their insights on myriad geospatial topics including artificial intelligence, analyzing data, emerging technologies and trends, public/private partnerships, entrepreneurship and changing patterns of where people live. Conference sessions and informal networking emphasized that the 21st century geospatial ecosystem will require the combined efforts of government, industry and academia to provide the data and services needed for informed decision-making, to increase knowledge of the world and to improve quality of life and societal conditions. 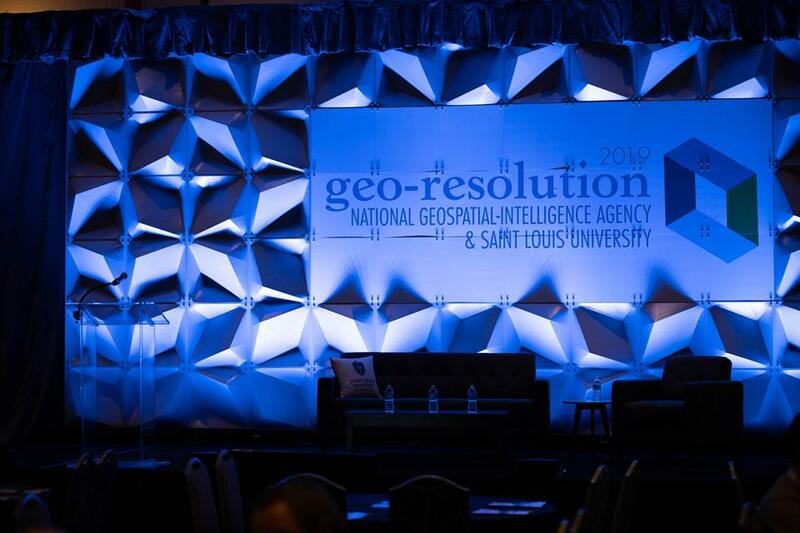 In January, Saint Louis University and the NGA signed an agreement establishing a special relationship that positioned the university and NGA as collaborators on geospatial research, training and innovation initiatives.